Natural or dyed Sisal, Coir, Jute, Seagrass, Cotton yarns are woven into different type of mattings. The mattings are then cut to form area rugs of various sizes. 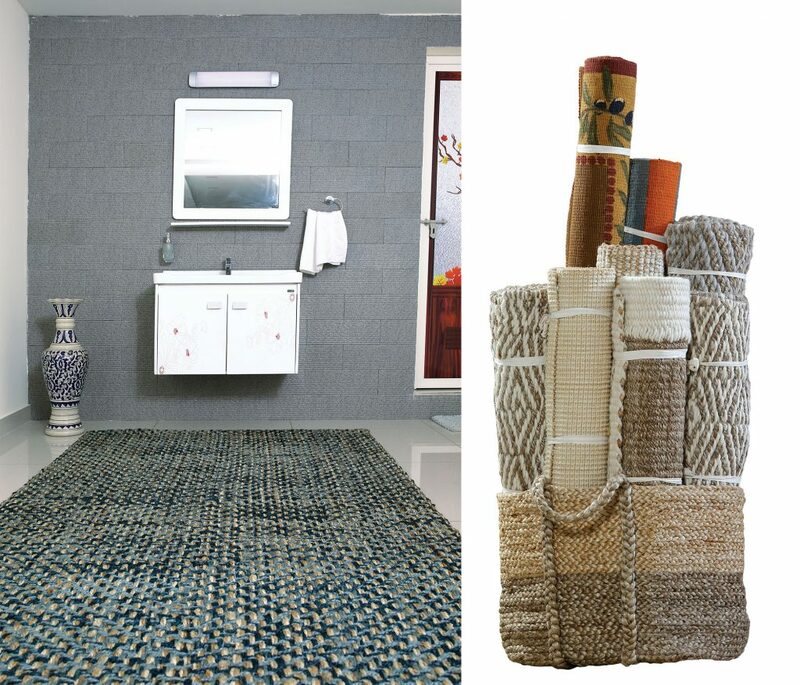 These rugs are then stitched with borders to make more attractive and aesthetic. The bordering is done with different materials like cotton twill tape, Jacquard fabrics, Leather etc. The finishing and passing of bordered rugs is done to improve the look and appearance.